We wanted to create a iot application that would help a lab or an office to manage the stocks of nespresso capsule while proposing statistic on which capsule are more popular for improve the commands. It detects the nespresso pods by differentiating between 6 differentes types of capsule. It connects to the cloud to send pictures and parse the resulting reponses., showing to the user the statistics. It is also able to record and playback microphone sounds whithout analysis. 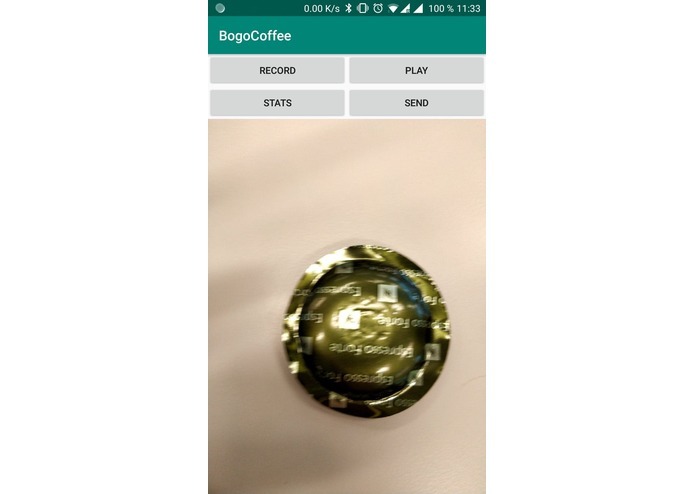 Using ibm cloud services for image recognition of the coffee pods. To leave through the entire challenge without wavering and without any sleep, while staying exited on our project. We learned how to use the ibm cloud platform for machine learning, while developing a android application to allow use to access the sensor (camera, microphone) and connect with the cloud. I worked on the android application and the connection with the cloud. I handled the usage of the camera, and microphone to get the data and receive the result from the ibm cloud.